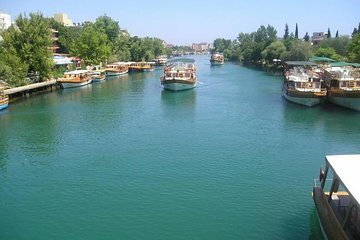 Get off the beaten track during this insider’s tour of Manavgat, which takes you to under-the-radar locations. You’ll hop aboard a boat for a scenic ride over the harbor, stopping to admire sea turtles. Enjoy a refreshing swimming break in a nearby waterfall, with ample free time to hit the sights in town on your own. Haggling for souvenirs at an authentic marketplace or get a taste of Turkish delight.